FAQ and Articles - Canada Post tracking information explained. 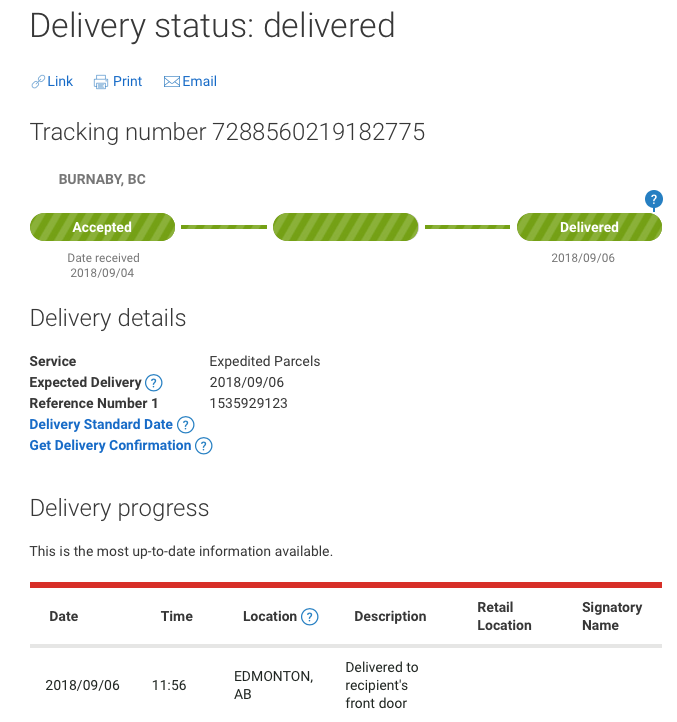 How to track your package with Canada Post. HomeFAQ and Articles	Canada Post tracking information explained. How to track your package with Canada Post. ScreenCountry.com is not a shipping courier. If you have selected Canada Post as a shipping courier, they and your local shipping company (for International orders) are responsible for delivering the package to your destination. Delivery times solely depend upon the courier, and are not a guarantee in any way. The delays are possible due to weather conditions, customs delays, holidays etc. ScreenCountry.com is not liable for delays caused by the third parties. Keep in mind, that most handling and processing is caused by humans, and, therefore, there always is a possibility of a human error. Parcels heading to international destinations are handled by canada Post until they leave Canada. Then they are redirected to the your local shipping courier (USPS for USA, Royal Post for Great Britain, Deutsche Post for Germany etc.) for the delivery. You can view the shipping progress online, via Canada Post website. Please note, that their tracking system is displayed with a small delay, therefore is not to be considered live. There is no reason to worry if there is no progress displayed on the Canada Post website.